miniOrange provides secure access to Office 365 for enterprises and full control over access of applications, Single Sign On (SSO) into your Office 365 Account with one set of login credentials, eliminating user-managed passwords and the risk of phishing. 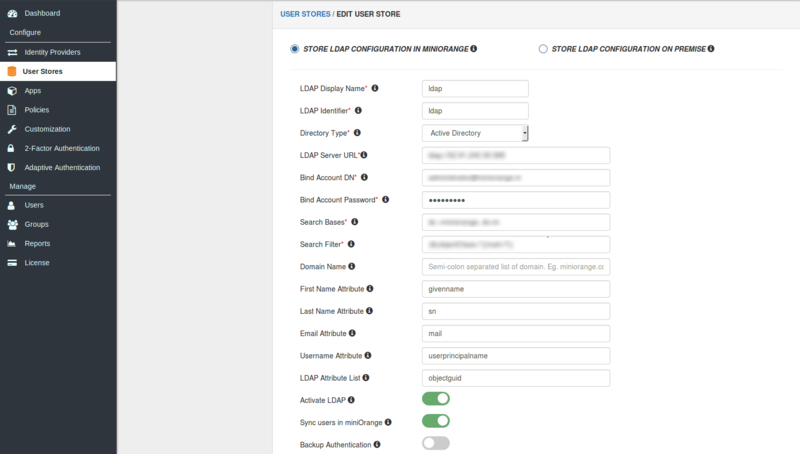 The solution leverages the existing on-premise Active Directory infrastructure and provides for a seamless integration without the need to manage multiple on-premise and cloud identities. The Enduser will be redirected to their Office 365 account by clicking the Office 365 icon on the Enduser Dashboard - there is no need to login again. 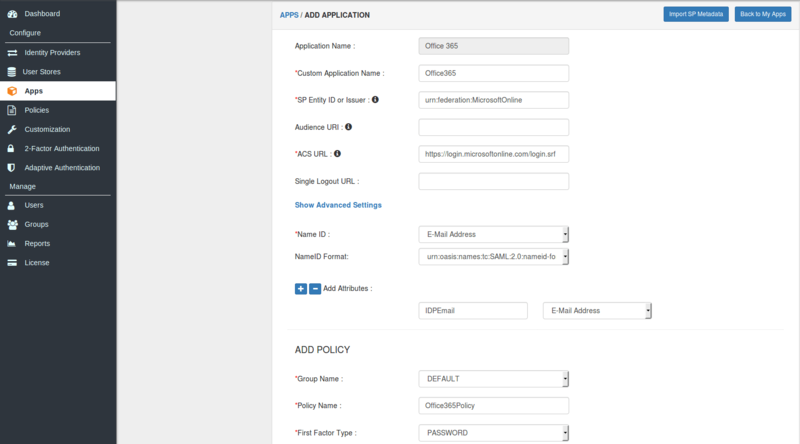 In SP Initiated Login, SAML request is initiated by Office 365. An Enduser tries to access their Office 365 domain. Here they can enter the miniOrange login credentials and login to their Office 365 Account. Let’s assume your public domain name is mydomain.com, but your inside-the-firewall Active Directory domain is mydomain.local. You can’t resolve mydomain.local via Internet servers, therefore you won’t be able to with Office 365 DNS servers. That said, you can use federation to set each user’s UPN to a publicly resolvable domain name and let them log in as username@mydomain.com. Launch Active Directory Domains and Trusts and view the Properties of its top-level node. In the box titled Alternative UPN suffixes, enter your publicly resolvable domain name and click Add. Then launch Active Directory Users and Computers and view the Properties of a user account. Under its Account tab, you can now set the User login name to that publicly resolvable domain name. Do this for each Office 365-enabled user. They’ll be using this as their Office 365 username in a minute. 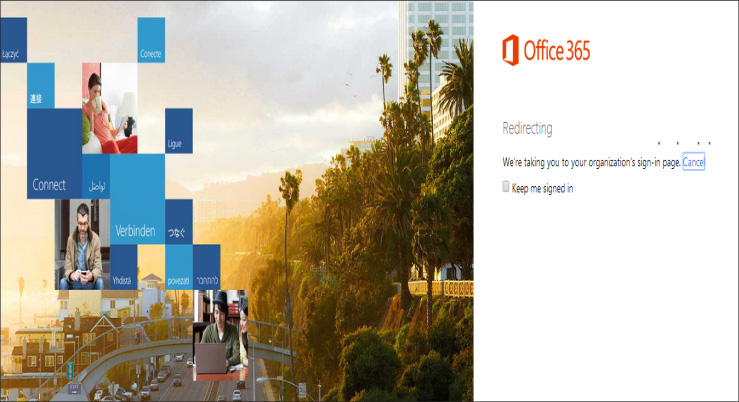 Single Sign-On into Office 365 requires a custom branded URL to be set. Access to miniOrange and connected resources will need to be through the custom branded URL in the format https://##CUSTOM DOMAIN##.miniorange.com/moas. 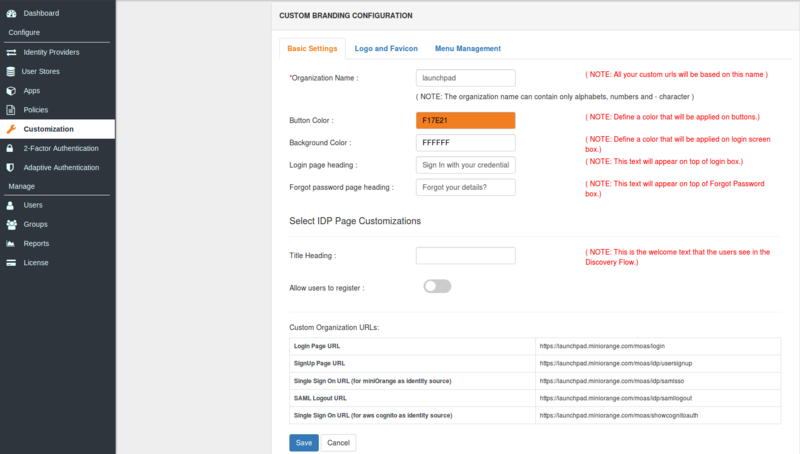 Under Basic Settings, set the Organization Name as the custom domain name. Once that is set, the branded login URL would be of the format https://##ORG NAME##.miniorange.com/moas. Single Sign-On into Office 365 requires connection to an on-premise Active Directory. miniOrange allows on-the-fly user creation from Active Directory, negating the need for sync operations. Navigate to the User Stores section. Click on the Add User Store button. The type of User Store should be AD/LDAP. Click on SAML tab. Select Office365 and click Add App button. Make sure the SP Entity ID or Issuer is: urn:federation:MicrosoftOnline. Make sure the ACS URL is: https://login.microsoftonline.com/login.srf. Add an attribute with attribute name as IDPEmail and select attribute value as E-mail Address. Set the authentication policy. You can choose to enable 2FA for login or have users login using a standard username-password. Click on Save to configure Office365. Click on Metadata link to see the Identity Provider information required to configure Office 365. Note down the following information. Open Powershell. The Microsoft Online Services module needs to be installed for the below commands to run. Replace ##IDP ENTITY ID## with the IdP Entity ID/Issuer Noted above. Replace ##LOGOUT URL## with the Logout URL Noted above. Replace ##LOGIN URL## with the Login URL Noted above. Replace ##CERTIFCATE## with the X.509 Certificate Noted above. Enter only the Email. 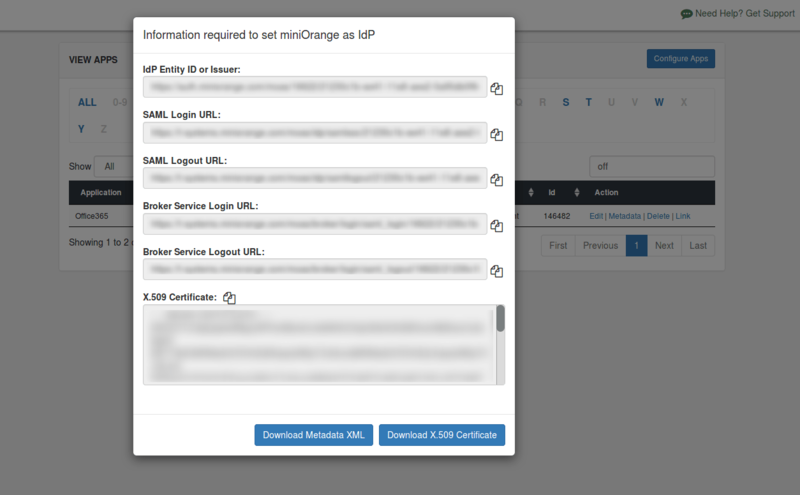 Now you will be redirected to miniOrange IdP Sign On Page. Enter your miniOrange login credential and click on Login. You will be automatically logged in to your Office 365 account. Login to your miniOrange Self Service Console as an End User and click on the Office 365 icon on your Dashboard.